The Longmont Police Department is hosting their second Coffee with A Cop on Saturday, September 29th from 3-5 p.m. at Ziggi’s Coffee located at 400 Main St. The Longmont Police Department held their first Coffee with A Cop event on August 12, 2018 with 12 officers, including Chief Mike Bulter and Deputy Chief Jeff Satur. For the upcoming event Officer Bonday expects around the same number of officers to attend. It is the goal of the Longmont Police Department to move Coffee with A Cop events around Longmont to offer easier access to all communities. Boulder County is closing the Ron Stewart Reserve at Rabbit Mountain every Monday-Wednesday from September 17 to January 31, with the exception of the December 20-30 timeframe. 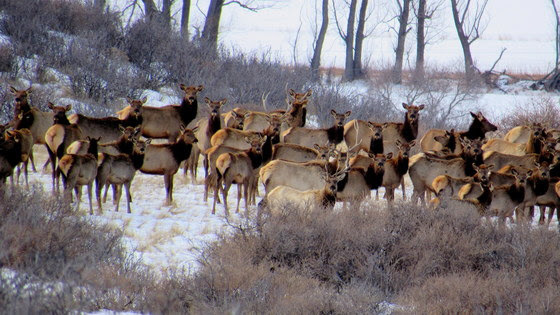 The closure is due to limited hunting for a three-year elk management program. Currently, the program is beginning its second year. “This hunting program is solely and specifically permitted as a resource management tool,” states a Boulder County press release.